A world map wall sticker with a unique design. 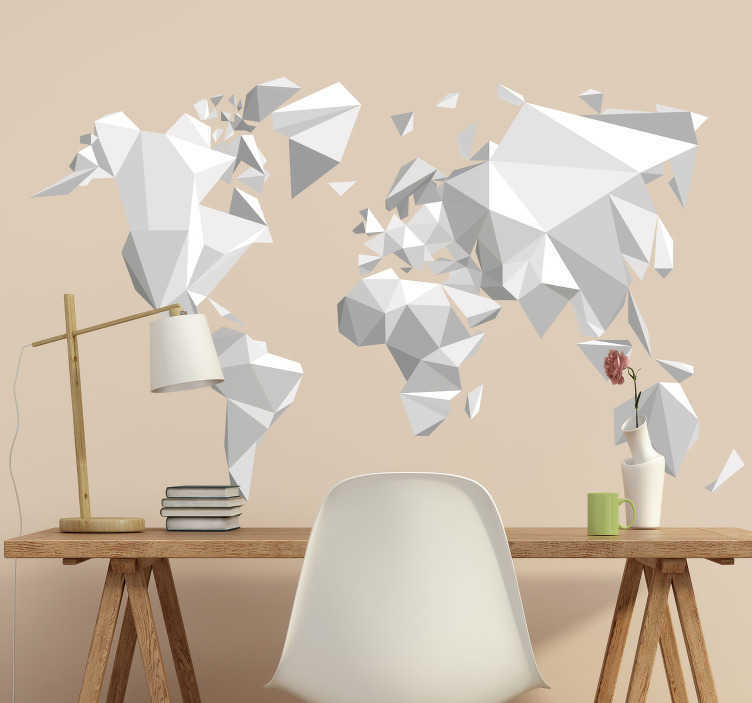 In this wall mural, the world map is created from origami or folded paper. This decorative sticker can be placed almost anywhere whether it be at home, at the office, or in a school. It looks great either as an office wall decal or a study wall sticker to encourage you in your work. Our world map wall designs are available in a range of sizes and are easy to apply as they are made from anti-bubble material.